Last week my boyfriend and I made our yearly pilgrimage to the Algarve. Those of you who follow me on Twitter and Instagram will know that I had a little bit of trouble and accidentally missed my morning flight to Porto so I had to get the evening flight to Faro and meet my boyfriend there. This worked out well for me as it meant that I didn't have to endure the six hour car journey down south, which I hate. 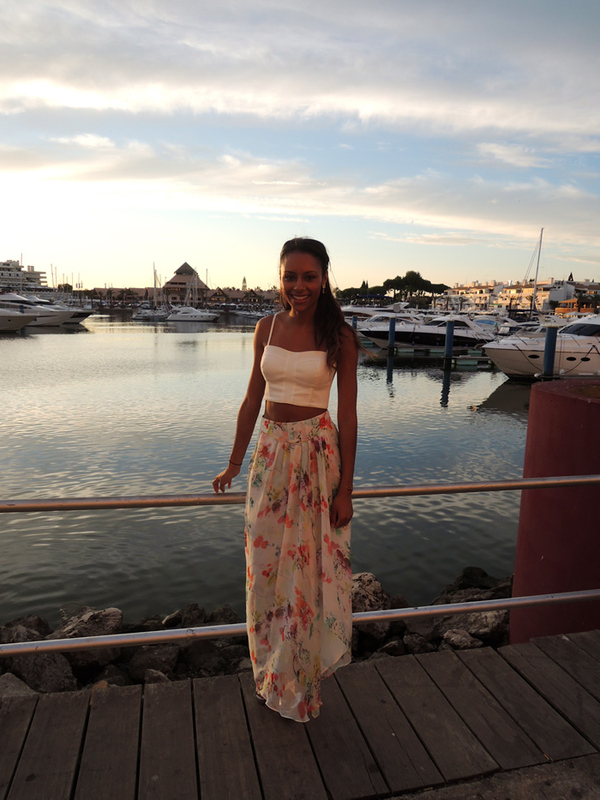 We spent a week in Vilamoura which is more or less the party centre of the Algarve and my favourite part. As I live in Portugal I'm not the typical English tourist so I like to enjoy myself, hit the pool and "pop bottles" (as the say) in the evening rather than hit the tourist spots. The pictures above were taken on my favourite night of all. We went to a new restaurant in the marina called My Thai and then had a ridiculous amount of cocktails topped off with an amazing champagne sangria. By the time we met our friends at the end of the night we were completely drunk and when we got to the club we ordered a hamburger and went home (classy I know). How was your summer holiday? you and your boyfriend are the cutest and you certainly look gorgeous !! I was so close to go to the Algarve this month with my bf but we wtiched for Cyprus. July we were in Menorca. Out of the 2... Menorca was nicer (Cyprus was cheaper though). So maybe Algarve next year! !